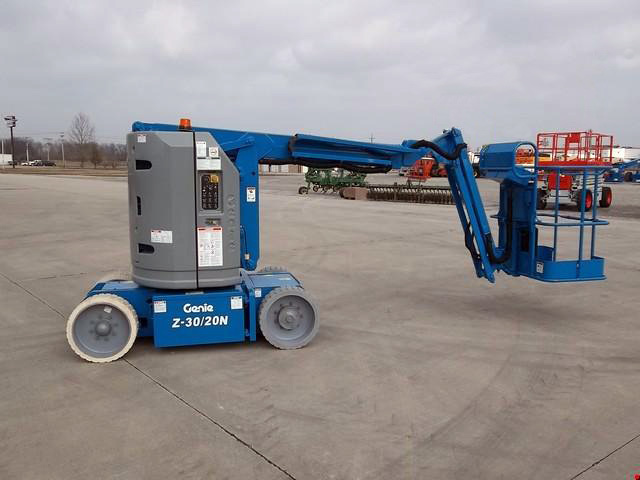 Hire Safe Solutions are delighted to offer this 2011 manufactured Genie z 30/20 N. The Genie Z30/20 N is ideal for working in compact spaces due to its narrow dimensions of 1.20 metres and has a weight of only 6598 kilograms. The Z30 has a working height of 10.89 metres and a safe working load (SWL) of 227 kg’s which compares to some larger models Genie produce. With only 285 hours usage, it is a dependable and robust machine in good condition and in full working order. This model is perfect for factory and building maintenance and work in narrow aisles or confined locations. All machines will have a new Loler completed prior to exchange. Service contracts also available if required.